Specimens of early computer systems stop to work every day. It becomes necessary to prepare ourselves for the future situation of having storage media and no working systems to read data from these carriers. With storage media residing in archives for already obsolete systems it is necessary to extract the data from these media once it surfaces before it can be migrated for long term preservation. One storage medium that was popular for home computers in the 1980s was the audio tape . 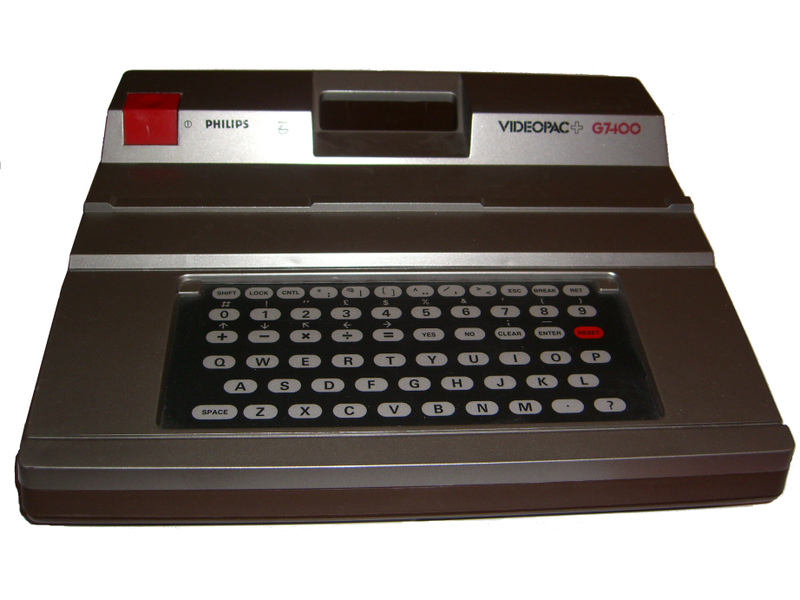 The first home computer systems allowed the use of standard cassette players to record and replay data. Audio tapes are more durable than old home computers when properly stored. Devices playing this medium can be found in working condition or can be repaired as they are made out of standard components. This makes it easier to record the audio stream on a system today than to use the original system to read the audio stream. The tool presented on this page allows us to extract data created on one of these early home computer system. The original system was re-engineered and an application was written to support the migration of data stored on tapes without using the original system thus eliminating the necessity of keeping an obsolete system alive for the preservation of data on storage media for this system in the future. 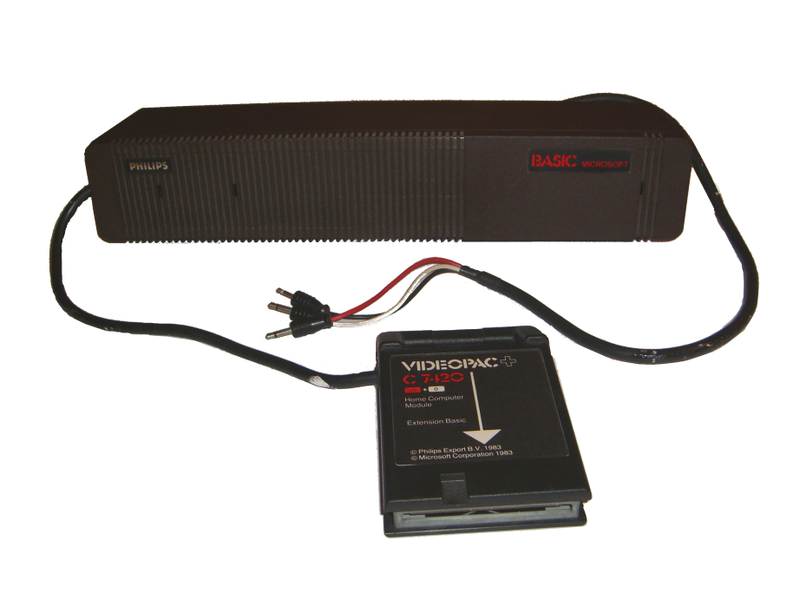 The BASIC-programming language for the C7420 allowed the storage of different kinds of data on standard audio tapes by providing connector cables to the headphone and microphone plugs of standard audio systems. 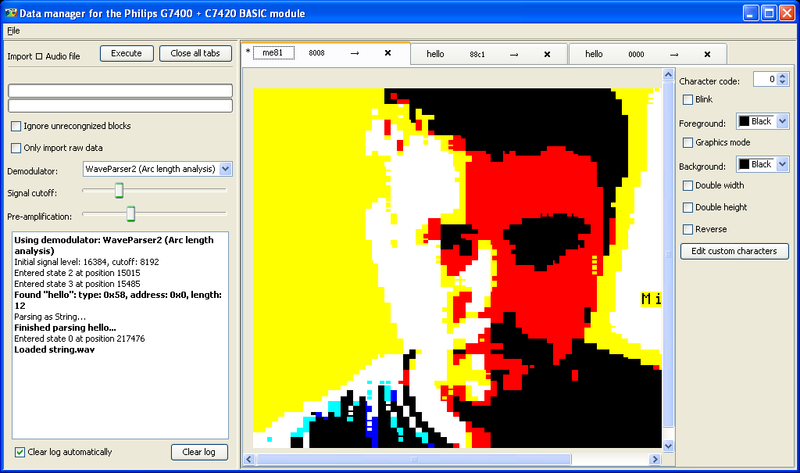 Besides BASIC programs screenshots, arrays, strings, and memory dumps could be saved on tape using the BASIC command "CSAVE" in various forms. 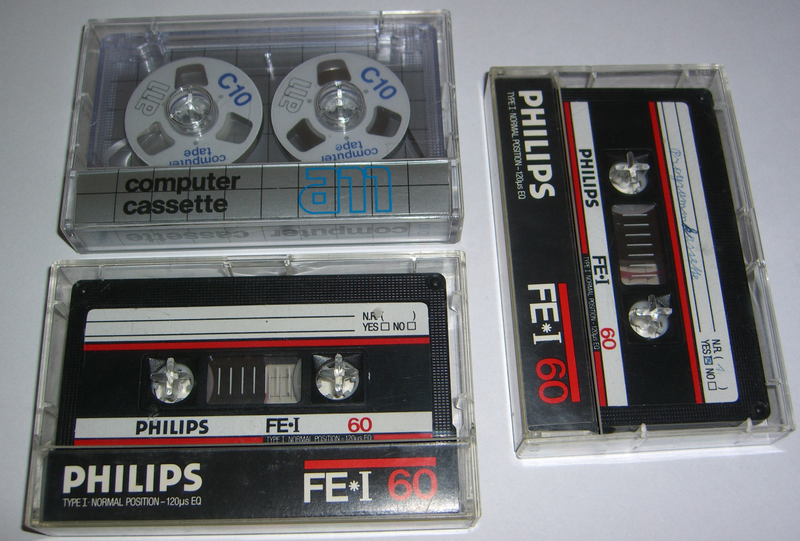 Pictures below show a Philips G7400 (left), a C7420 Home Computer Module (middle), and a collection of original tapes (right). During research on the longevity of audio tapes and preservation of software and video games it became clear, that data stored on audio tapes has to be migrated to a different media as soon as possible. Most of the home computer systems using this media became obsolete more than 20 years ago, which is also the expected life time of data stored on magnetic tapes (VanBogart, 1998). The tool is written in JAVA to be operating system and hardware independent. It can be downloaded in the Files section below. After starting the tool File->Import can be used to extract data from audio files or other sources, File->Export is used to encode the data again to audio files or the default audio device. Extracted data can be migrated to non-obsolete formats (e.g. CSV, PNG) using File->Migrate selected Tab. The screenshot below shows the migration tool with an image that has been extracted from the waveform and two other tabs containing the "Hello World" program and the "Hello World" string. BE AWARE THAT THIS IS NOT THE INTENDED USE OF THE C7420 AND DAMAGE TO THE CARTRIDGE AND/OR YOUR PC IS POSSIBLE!!! No garanty can be given that you will not destroy any of the involved parts, even if you follow the order of connecting the components. The latest version of the migration tool can be downloaded either as a JAR file that can be executed using a JAVA 6 runtime using "java -jar basic.jar" or as JAVA source. Example files in different formats are available for download below. The audio-files contain the data encoded in the waveform and have to be imported to the migration tool using File->Import->Audio File. BASIC-programs can be loaded into the tool using File->Open. A case study evaluating the methods used to extract data from the tool explaing the different file formats was presented at iPres 2009. The paper is available for download here. The people behind this project are: Mihai Ghete, Chrisanth Lederer, Annu John, Mark Guttenbrunner.